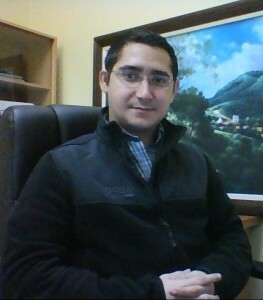 Born and raised in the southern part of Honduras, he moved to Tegucigalpa to complete his studies at the Catholic University. After a brief stint in a cell phone company, he joined the 3C Group in 2001. In 3C he started from the bottom, beginning as cashier in the first store of Farmacias del Ahorro. He then spent a few months as deputy manager of the store until he was charged with opening and managing the 5th store of the chain, in Choluteca. A couple of years later he became the Operations Manager of the chain, and in the following years he opened around 40 stores, restructuring in the process the organization to cope with the growth. After a couple of years as head of the pharmacy chains outside Honduras, he came back in 2014 as general manager of all the pharmaceutical retail business in Honduras, together with the responsibility of developing the private label Adiuvo. Since 2017, Alex is in charge of Proconsumo, the wholesale distribution company. After all these years of great learning and hard work, Alex believes he has much more to learn and feels very happy of being in the right place to do so.